In accordance with the General Data Protection Regulations (GDPR) which come into force on 25 May 2018, this notice sets out what Crickhowell High School, the local authority (Powys County Council) and the Welsh Government does with the education related information that it receives about Children and Young People. Crickhowell High School collects information about children and young people and their parents or legal guardians when children and young people enrol at Crickhowell High School. 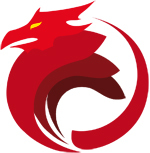 Crickhowell High School also collects information at other key times during the school year and may receive information from other schools or early years providers when children and young people transfer. the planning and management of Crickhowell High School. 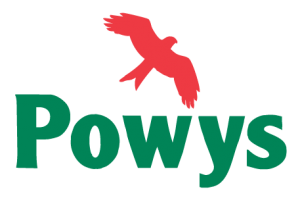 Upon receipt of the information from your school or early years provider the Local Authority (Powys County Council) becomes the Data Controller. In addition to the data collected as part of PLASC, the Welsh Government and Local Authorities also receive information regarding National Curriculum assessments, public examination results, and attendance data at individual pupil level which comes from Schools and /or Awarding Bodies (e.g. WJEC). Upon receipt of the information from your school or early years provider and the Local Authority, the Welsh Government becomes the data controller. What information is held by Crickhowell High School and Powys County Council? Who does Crickhowell High School and Powys County Council share your information with? The Office of National Statistics (ONS) in order to improve the quality of migration and population statistics. From time to time, we will ask for permission from both parents and students to use photographs and video images of the students in school publicity. All students aged 13 and above will be eligible to give their consent, along with a parent, carer or guardian. It should be noted that this content may be withdrawn at any time. A copy of the school consent form may be downloaded below. Crickhowell High School may provide limited personal (but not sensitive) information to external companies providing a curriculum-based resource (which may be on-line) which is deemed to have educational value. In these circumstances the school will ensure that all reasonable precautions are taken to preserve the security of the data in line with current legislation and that the external supplier meets all legal requirements regarding the handling of this data as specified in a formal written agreement between the school and the supplier. Microsoft Office 365 – Emails, Sharepoint, Onedrive, Teams. Allows for collaborative working inside and outside school as well as Archiving and small factor databases. Capita SIMS.net – The school’s core Information Management System – holds all core student data including contact information and results. Capita – SIMS Options Online, SIMS Parent App Lite – Provides ability to choose options online for Year 8, and Parents to update information on their child(ren). Examination Bodies – WJEC, OCR, Persons, AQA – Provides GCSE/GCE based awards/courses. WordPress – School website uses WordPress to manage the content on the school website which could contain student images. NRS software – PCC provided Canteen till system – includes student information, picture age, dietary needs, balance on ParentPay account, meals chosen by students and fingerprints for procuring meals. GCSEPod – Teachercentric – Provides revision podcasts for GCSE students – we share student names with this service – students then sign up. What information is received by Welsh Government? What is Welsh Government doing with your information? For school performance reporting purposes, identifiable data will be shared back with the relevant schools. For statistical and research purposes which will help to inform, influence and improve education policy for the with planning services for people in Wales.To monitor the performance and how well the education services are being provided so that they can be improved.To help monitor and target funding effectively.For publication purposes which includes a range of statistical outputs on the Welsh Government website. School information published on My Local School website. Production of school and local authority level analysis for schools, LA’s and consortia. Link with other datasets, including non-educational data sets, in order to inform wider education and social policies. Examples of data sets that we may link include data on students in further or higher education institutions, or employment and welfare data from The Department of Work and Pensions. We will only link data sets where the law allows us to do so. For research purposes wider than education we will use techniques that ensure the data are anonymized before any research takes place. No action will be taken in relation to you personally. Information will not be shared or combined in a way that could lead to you being identified, unless we are legally able to do so. No data could ever be published that would identify individual pupils. Who does Welsh Government share your information with? Information held by the Welsh Government about children and young people, their parents, or legal guardians, may be shared upon request and where the law allows, with organisations linked to education and training and specified in Regulations made under section 537A of the Education Act. The Welsh Government will only share or link data where there is a legal requirement to do so. 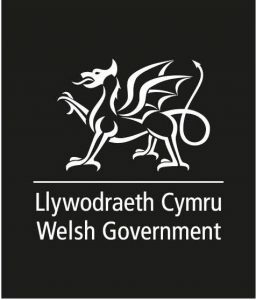 Welsh Government will only provide data for a specific purpose and for a limited time period, after which the organisation must confirm that it has been destroyed. Any analysis produced must follow Welsh Government disclosure rules to ensure that individual pupils cannot be identified. How long will this data be kept? Crickhowell High School, Powys County Council and Welsh Government will keep this data until the pupil’s 25th birthday or for the duration of the criteria which underpin the statutory regulation. After this point the data will be anonymised in line with best practices and used only for statistical and research purposes. Lodge a complaint with the Information Commissioner who is the independent regulator for data protection.